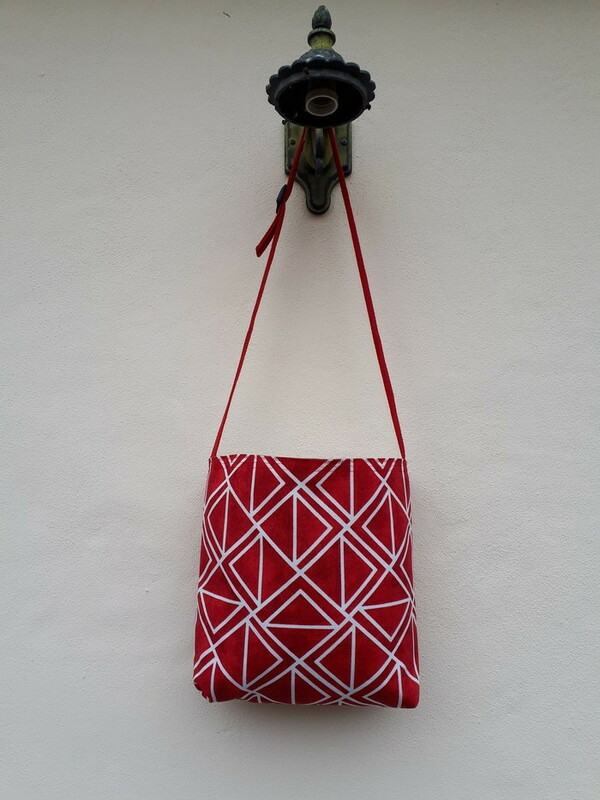 Apple red patterned with plain charcoal made from water resistant outdoor fabric. 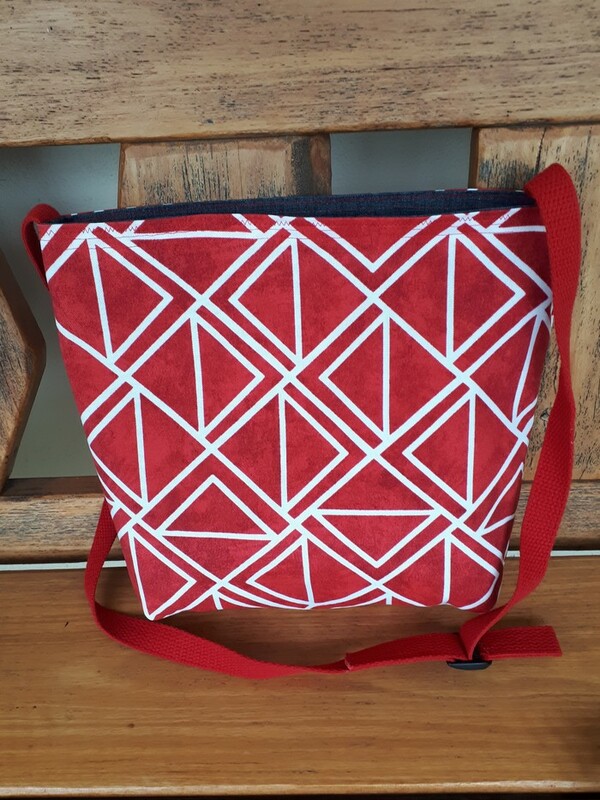 Red cotton webbing shoulder/cross body strap with black adjuster. 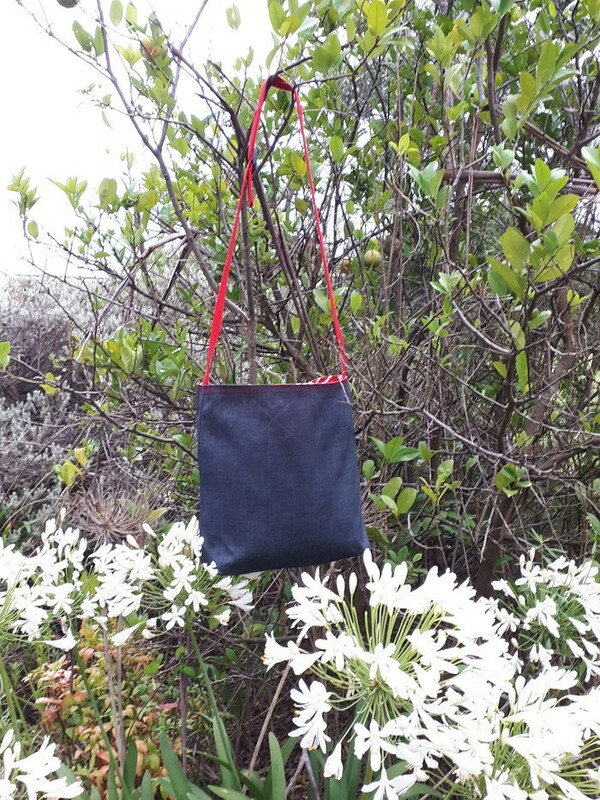 Bag has boxed corners and reinforced where strap is attached.